NEW! Dr. Matloff's book, Statistical Regression and Classification: from Linear Models to Machine Learning (CRC, 2017) was the recipient of the 2017 Eric Ziegel Award for Best Book Reviewed in 2017, Technometrics. Prof. Matloff conducts research both in computer science and in theoretical and applied statistics. His work has appeared in prestigious journals such as the ACM Trans. on Database Systems, the ACM Trans. on Modeling and Computer Simulation, the Annals of Probability, Biometrika, the Communications of the ACM, the IEEE/ACM Trans. on Networking, the IEEE Trans. on Data Engineering, the IEEE Trans. on Communications, the IEEE Trans. on Reliability, Performance Evaluation, the University of Michigan J. of Law Reform, and so on. Recent invited conference papers and book chapters include: R/Finance 2018 (keynote speaker), Encyclopedia of Big Data Technologies (2018), SAE 2017; useR! 2017 (keynote speaker); GTC 2016; Handbook of Big Data (2016); JSM 2013; EPI (2013); etc. Prof. Matloff has been the recipient of the university's Distinguished Teaching Award, Distinguished Public Service Award, and the Outstanding Faculty Adviser Award. Professor Matloff was a founding member (click About | History) of the UC Davis Department of Statistics. He designed the undergraduate majors in Statistics, and for many years was a faculty member of the Graduate Group in Statistics (GGCS), which administered the Statistics PhD and Master's program. He served on the GGCS Executive Committee, and has continued to have ties with the Statistics Dept., through service on PhD examining committees, presenting seminars and joint research. 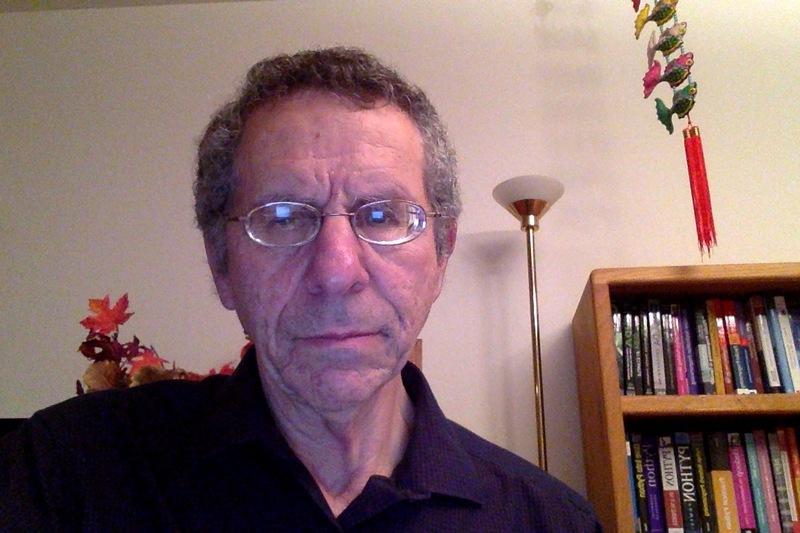 Dr. Matloff is the author of a number of widely-used Web tutorials on computer topics, such as the Linux operating system and the Python programming language. He also has written several open-source textbooks, notably one on probability and statistics and one on parallel programming. Dr. Matloff is a well-known expert in data science. His book on the R programming language, The Art of R Programming, published in 2011, is considered one of the leading works of its kind, and has been translated to Japanese, Korean and Chinese, and he is on the editorial boards of the Journal of Statistical Software and the R Journal (currently Editor-in-Chief on the latter). He is on the organizing board of the Bay Area useR Group. His published books also include Parallel Computation for Data Science, published by Chapman and Hall in June 2015, and Statistical Regression and Classification: from Linear Models to Machine Learning, also published by C&H in 2017. The latter book was the recipient of the 2017 Eric Ziegal Award for Best Book Reviewed in 2017. He also writes a blog on these topics. See his statistics-specific bio for more details. Prof. Matloff is particularly interested in the use of foreign labor in the U.S. computer industry. His article in the University of Michigan Journal of Law Reform on the H-1B work visa is the most comprehensive (99 pages, 300+ footnotes) academic work published on the H-1B issue. Another article concerning the relation of H-1B to age discrimination in the computer industry appeared in the California Labor and Employment Law Review, a publication of the California State Bar Association; click here to download the article. See also his 2013 research work, a paper about the H-1B work visa in general published in the academic journal Migration Letters, and one on the general quality of the H-1Bs conducted for EPI. Other than the second-to-last item, all of these were written at the invitation of the given publication. Dr. Matloff frequently serves as an invited panelist on computer industry hiring practices, in forums sponsored by industry, academia, government and public-affairs groups, such as the EEOC, American Society of Engineering Education, Voice of America, ITAA/Dept. of Commerce Convocation, the California Governor's Older Worker and Exemplary Employer Conference, the Commonwealth Club of San Francisco, the Stanford University Computer Project Conference, the Harvard University Law School Asian Pacific American Conference on Law and Public Policy, the Boston University Workshop on Migration of Foreign Scientists and Engineers to the United States, the Gartner Group Application Development Summit, the IS Associates group in UCLA Anderson School of Management, the Berkeley Center for Globalization in Technology, MEPTECH, Silicon Valley Power Breakfast, Software Development Expo, etc. His recommendations on careers in the computer field are often sought by writers of career-advice columns, and syndicated columnist Joyce Lain Kennedy features Dr. Matloff's e-newsletter on career issues in her books, Resumes for Dummies, Job Hunting for Dummies and Cover Letters for Dummies. Dr. Matloff has presented invited testimony on these and other social issues to the U.S. Senate and House of Representatives on a number of occasions, and his advice has been solicited by the U.S. Department of Commerce, U.S. Department of Health and Human Services, and the U.S. State Department, as well as the State of California Little Hoover Commission. His writings on immigration have been used as course materials at Stanford and Cornell Universities, and he has taught a well-received freshman seminar on immigration at UCD. He has served as a program proposal reviewer on immigration issues for the Corporation for Public Broadcasting, the main funder of PBS. Prof. Matloff writes a blog (separate from the one mentioned above) on these and other social issues. Dr. Matloff has written articles (in many cases by invitation of the magazine or newspaper) for the New York Times, the Washington Post, Forbes Magazine, the Los Angeles Times, CNN, the Public Interest, the Huffington Post, Fortune, the New Democrat (a publication of the Democratic Leadership Council), and so on. He has also served as an invited panelist in the New York Times' Room for Debate online site, here, here, here, here and here. He also has been a frequent contributor to Bloomberg View; you can read a collection of his articles on this Bloomberg site. Professor Matloff lived in an ethnically-mixed East Los Angeles neighborhood during his early childhood, helping to shape his lifelong support for affirmative action and activism in improving conditions for people of color in general and the impoverished, as well as improving the status of women. He is a former chair of the faculty affirmative action committee at UC Davis, as well as a member of the corresponding statewide UC committee. He has been active in minority-oriented programs such as MAP, MORE and the Graduate Minority Forum, and occasionally writes op-eds on these matters. Prof. Matloff is often invited to speak to student groups on minority-related issues, such as at UC Berkeley and the Stanford University Law School, and at Berkeley High School, where he "testified" on the issues of H-1B and affirmative action at the student Mock Congress. He writes frequently about these issues, such as his support of affirmative action, his exposure of age discrimination and abuse of foreign worker visa programs in the tech industry, and his defense of immigrant Asian-American scientists who have been discriminated against in our national laboratories (Los Alamos and NASA). Prof. Matloff has been a recipient of the UC Davis Distinguished Public Service Award, in recognition of his work in these areas. He has been active in Chinese communities ever since graduate school. His wife is a Chinese immigrant (his father was also an immigrant), and they raised their daughter to be bilingual in Chinese and English. He has also served as an instructor in adult ESL programs in San Francisco's Chinatown, both as a volunteer and as an employee. In 1999 Dr. Matloff was invited to join the Steering Committee of the Dr. Wen Ho Lee Defense Fund. The committee members, including the late UC Berkeley Chancellor Chang-Lin Tien, were initially concerned that racial factors were the driving force behind Dr. Lee's being terminated from his position at Los Alamos National Laboratories, and his subsequent indictment. Later developments concerning Lee's behavior, including his contacting a convicted spy, showed the case to be much more complex than that, but in the end the judge found that Lee had indeed been egregiously denied due process. A speaker of Chinese (Cantonese and Mandarin), Dr. Matloff has been interviewed by the two leading Chinese-language newspapers in North America, Sing Tao Daily and World Journal. He also conducted a reader survey for Sing Tao, and has been a guest on Bay Area Chinese-language TV and radio programs. He has been quoted on Chinese-American community issues by the New Republic, the San Jose Mercury News, AsianWeek, and so on. Prof. Matloff has proposed a novel system for UC admissions. See his Los Angeles Times op-ed, and his op-ed in the San Francisco Chronicle, presenting the case of Lowell High School, a highly selective public "magnet school" in San Francisco, as an illustration of the need for, and potential benefit of, his proposed admissions policy. His ideas in those articles have been used by Urban League president Hugh Price, civil rights advocate Lani Guinier and UC Berkeley ethnic studies professors Ling-Chi Wang and the late Ronald Takaki.